You know, Dory from Finding Nemo? The blue fish with the short term memory loss? Like taking three kids to Pak'N'Save at 4pm on a Friday afternoon to pick up some supplies for the Long Weekend. 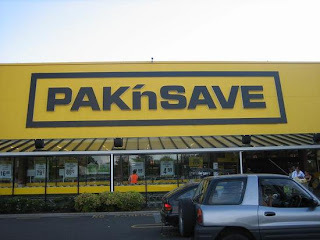 That place makes me crazy at the best of times. What was I thinking??? After I mouthed mean names at a guy who crossed the road right in front of me at snails pace, my 6-year-old told me: "Mum if you only get madder it'll only get worser..." Stopped me in my tracks that did. Dory! said my hubby after he arrived home from playing a nice relaxing round of golf. Why would you do that to yourself? On the upside, sometimes short-term memory loss can come in handy. Like, if you tell me your secrets I promise I won't spread them. Your secrets are safe with me. I won't even remember what you've said in the morning. There may be a faint hazy echo of something, but not enough detail for any kind of juicy gossip. Scouts' Honour. Then again, the downside... I sometimes forget who I've done what with. Like one time I was raving to a friend about a great movie I'd seen recently and wondering why she was looking at me funny. "Have you seen it yet??" I asked. "Um, yes... actually I saw it with you, remember???" So if I happen to forget your name / birthday / kids names / phone number / deep dark secrets please don't hold it against me. It's just one of my unavoidably annoying personality quirks, nothing personal against you at all. 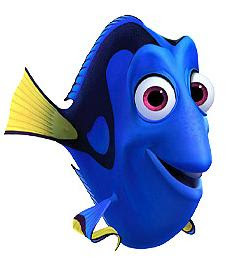 Just put it down to my Dory-ness, and please forgive me. P.S. I went to see Julie & Julia on Monday night with my friend Meg. It was great. So in case I forget... Julie & Julia was great. I saw it with Meg. you dory you! Bummer, was going to see if you wanted to see this. Amy suggested it for another bloggers get together shortly! I so want to see that movie!!! 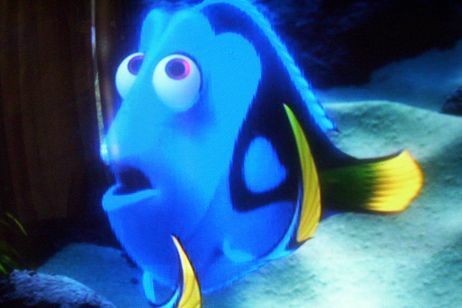 I have that Dory problem too. 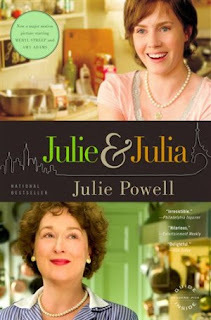 Julie and Julia awesome movie...did you just want to go to a great restaurant and eat after???? And don't feel bad about the "Dory Thing" Dory was the funniest!!!! Simone - first look at your page. It's so pretty! You are one courageous girl putting all your faux paus out there for the world to see - shows that you're actually very secure in who you are. Hey - we are all a work in progress. Loved the balance and wisdom your friends shared about the whole Halloween thing. When kids used to come knocking at my door Trick or Treating, I used to say "I don't like scarey witches and things - come back tomorrow dressed like normal and I'll give you some goodies!" Im new to your blog and love it!!! You write about fab stuff!! !